Hey all! For those of you who don’t know we are trying to adopt a little girl from Honduras. You can read more about the story HERE and HERE. My husband just got back from visiting her. It was a trip I was a little bummed about… We had planned on me going and there was also a mission trip that was planned with our church. Well, with the whole zika scare that all went out the window. I’m glad Ed was able to go see Prinessa because this is the longest he he has gone without seeing her since he met her last August and I was glad to be home with our three kids but still feel a little sad missing out. Overall, it was a good trip. Ed has some great moments with her and I did get to talk to her on the phone which was nice. It’s a little hard getting good bonding time in when there’s a whole village of kids around wanting your attention as well. But it’s still a great opportunity for us because 1. we love all the children dearly (If I could I’d take them all!) and 2. this is not the norm when adopting. Normally, we would not have the chance to bond at all before bringing her home. So in that regard we are extremely blessed! Best of all I think she understands she has a family! Not quite sure what that means to her as she’s never had a traditional family but it’s something we’ll discuss more down the road. I don’t really have a good adoption update. We’re working with an agency and we have to get all our paperwork done here then we get to wait on Honduras (could be months, could be a year or more…). This means we have a home study to pay for which is why I’m posting. We need to do a little fund raising so I decided to put together an ebook featuring 10 of some of my most popular patterns. This ebook is over a $30 value but you can purchase it for just $10! All proceeds will go toward our adoption efforts. 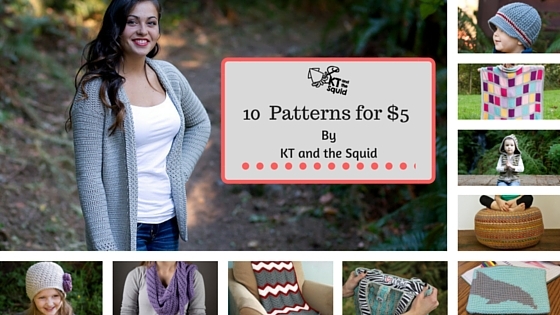 This ebook features the following 10 patterns for $10. Kram Cardi made in Cascade 220 Superwash. Blanket for mi Nina made in Cascade Sateen Worsted. Woodland Hooded Vest (children sizes) made in Lion Brand Heartland. Perfect Stripe Newsboy made in Lion Brand Vanna’s Choice.